SHADED BOULEVARDS. MOSS-COVERED FOUNTAINS. OUTDOOR CAFE TERRACES. 300 DAYS OF SUNSHINE. Location: Southern France, 25 km North from Marseilles. * Train: Aix’s tiny city center train station (5am-9.15pm Mon-Fri, 6am-9.15pm Sat & Sun, information office 9am-7pm) is at the southern end of av Victor Hugo. There are frequent services to Briançon (€31.20, 3½ hours), Gap (€23.80, two hours) and Marseille (€6.20, 35 minutes, at least 18 daily. 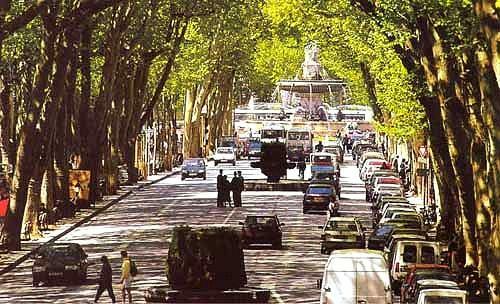 * Bus: Aix’s bus station (information office 08 91 02 40 25; av de l’Europe) is a 10-minute walk southwest from La Rotonde. Numerous companies’ services include buses to Marseille (€4.40, 35 minutes, every 10 minutes, every 20 minutes on Sunday), Arles (€10, 1¾ hours, five daily), Avignon (€13.90, one hour, six daily) and Toulon (€10, one hour, six daily Monday to Saturday). 4. Escale Oceania Aix-en-Provence: SE of city center. Starts at $97. Down-to-earth brasserie dishes such as steak frites and blanquette de veau on the busy terrace or in the glittering Belle Epoch salon (49 Cours Mirabeau; 422 275881). It has extensive menu choices spanning cod, scampi risotto and a variety of meat dishes cooked with saffron, spinach and cream. Book ahead. Classic French affairs: bouillabaisse, frogs' legs. Minimum of two diners; order two days before. Historic café and restaurant, its interior gilded elegance preserved since 1792. Here Cézanne sipped aperitifs, famously once with Renoir and Monet. (53 Cours Mirabeau; 422 260051). Location is a little out of the center but this is Aix’s Michelin-starred dining experience. Reservations essential (10 av Violette; 422 233071). Chef Jean-Luc Le Formal operates a first-class establishment with impeccably mannered service both at its whitewashed-stone outdoor lounge/reception area and in its vaulted-cellar dining rooms. Locals hangout. simple home cooking, including incredible crème brûlée (a cream or custard dessert covered with caramelised sugar). In summers, feasting takes place outdoors in the garden, and there's a comfy lounge room to unwind. 9. 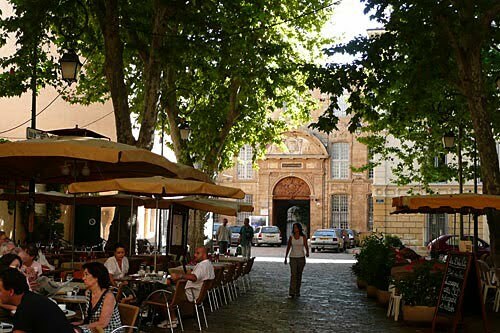 Bastide du Cours: In the heart of Aix and on Cours Mirabeau has a beautiful interior garden where you can get a culinary dishes such as slow-roasted lamb shank with wild thyme and locally grown tomatoes. Rates jump about 30% in July. 10. Jacquèmes: Sells gourmet goodies. A fantastic épicerie (grocery) that sells cheese, cold meats, sausages and 500 types of whisky. 11. L'Aixquis: Elaborately presented plates such as truffle-infused St-Jacques scallops at this small peach-coloured restaurant. The carte (no menus) changes seasonally, but the chocolate noir (a tray of petite desserts) is a year-round fixture. 2. If you want to climb the Montagne Sainte-Victoire, it’s a steep but easy two-hour walk from Vauvenargues. Picasso’s château is nearby. It’s rumoured his family will open it to visitors from June. Check with the tourist office. Cézanne’s hard-to-find grave is on the Montagne Sainte-Victoire side of Alley 6 at the southern end of Saint-Pierre cemetery. 3. The Thermes Sextius Baths (442 238183; www.thermes-sextius.com), an 18th-century thermal spa on the site of the 122BC Roman baths. From €99/£83/$137US per day. 4. To follow the Cézanne trail, pick up a free map from the main tourist office (2 place du Géneral de Gaulle; 0033 442 161161; www.aixenprovencetourism.com). There’s also a guided Cézanne walking tour every Tuesday 10am; €4/£3.40/$5.53US. 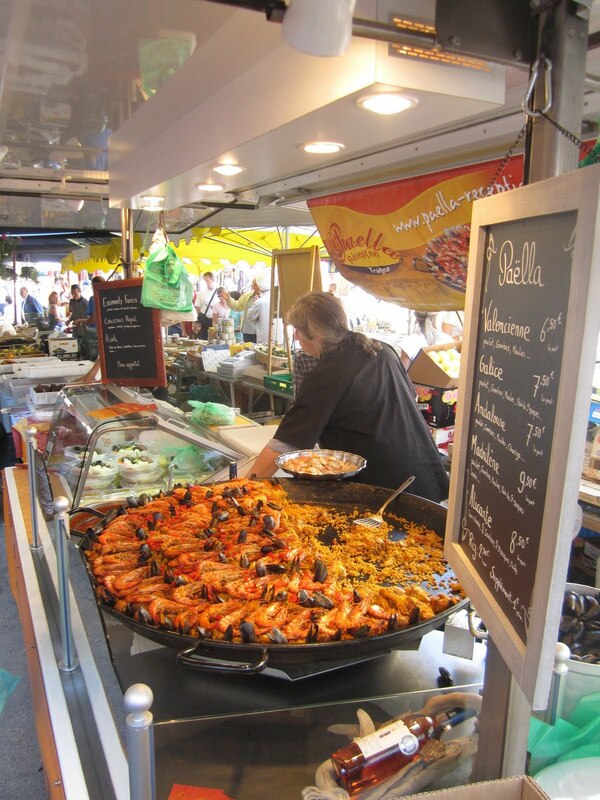 The Aix City Pass €13/£11/$18US, valid for five days, includes a guided city tour and visits to his Lauves studio (www.atelier-cezanne.com) and the Jas de Bouffan. The Bibémus Quarries guided tour costs €5.50/£4.70/$7.60US. An inclusive ticket for all three sites costs €12/£10.20/$16.60US. Prebooking at the tourist office is essential. 5. Les Instants d'Été: Open-air performances in August (theatre, cinema, cabaret, circus, video projections etc) at Parc Jourdan, Théâtre de Verdure du Jas de Bouffan (av St-John Perse), and the Carrières d'Ocre in Rognes (21km N of Aix) during the month-long Les Instants d'Été. 6. Fondation Vasarely: Bauhaus-style edifice located 4km west of town. Built in 1976, its 16 hexagonal spaces house vast architecture-meets-art works by Hungarian-born Victor Vasarely, the 'father of Optical Art'. Take bus 4 from La Rotonde to the Vasarely stop. 7. Cathédrale St-Sauveur: Baroque organ acoustics make the Gregorian chants (usually sung at 16:30 on Sunday) an unforgettable experience. Built in 1756 on the site of a royal tennis court; the curtain rises in the ornate Italianate auditorium most evenings from June to September. A progressive and cutting edge dance company based at Centre Chorégraphique National Building. 11. La Boulangerie du Coin: There are around 20 calisson makers in town, as well as plenty of patisseries. Fresh and warm, it's also one of the few boulangeries to bake on Sunday, along with the boulangerie (5 rue Tournefort) that never closes. 12. 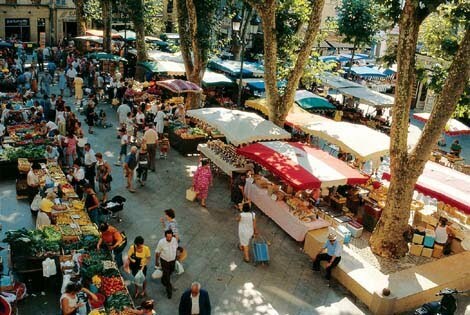 Farmers' Market: The greengrocers set up their booths under the sycamore trees in Place Richelme, and the flower market sets up in adjoining Place de l'Hotel de Ville, both located on the main axis between Place du Général de Gaulle, where the tourist information office is located and Cathédrale St.-Sauveur on the opposite side of the pedestrian quarter. Hours: 9am and noon. Floral Market: Tuesday, Thursday and Saturday across from the Mayor's Office. Held during June and July, the city bursts into opera as it hosts one of the most important festivals in Europe. Venues all over the town, such as Théâtre de l’Archévêché, Théâtre du Jeu de Paume and Grand Théâtre de Provence,but the real treats are the outside concerts at Théâtre du Grand Saint-Jean, just outside of the town. It’s an unforgettable event even for those not particularly into opera. 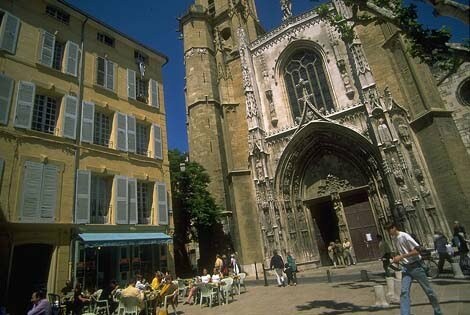 Bars : Left Bank of Aix is the prestigious student hub and should be able to find a plenty of night-life. 1. Bar Sextius: With live music and DJs playing house, reggae and raga. 2. La Belle Époque: DJs spinning Latino, house and funk every evening. 3. Les Deux Garçons: Been around since 1792. Salon and outdoor terrace, or head upstairs to the jazz club/piano bar. 4. Le Mistral: A nightclub on 3 rue Frédéric Mistral is great for those who like expensive cocktails and pumping dance music played until the early hours. 5. L'Orienthé: Soak up the Buddha atmosphere in this chilled shisha (Turkish water pipe)joint. 50 different flavours of tea offered. 6. Spartacus Night Club - Techno and other electronic music: located in town of Cabries, south of Provence. 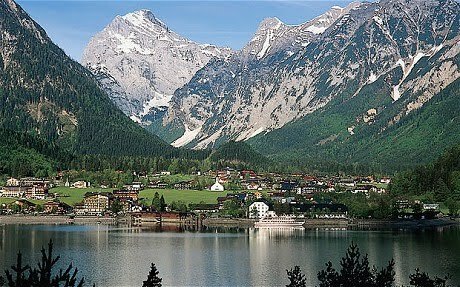 I love the last photo (the mountains, lake and a little village). Could you please tell me what is the village that appear in the photo? I think it is not Aix-en-Provence. Thanks!! I'm from Aix and this is definitely not the Saint Victoire (which is a mountain by the way not a town) but somewhere in the French Alps. However the alps are not that far from Aix, about 3 hours drive. Searched about this province because I read in some forum how there's this gem of a place that is not too touristy. The pictures look fantastic! I mean we've only been to Paris and there are some hits and misses there. This one is just really charming. Getting bitten by the travel bug can really make you wander off from your seat pretty much the whole day.